A Diamond Select Toys release! Tim Burton's The Nightmare Before Christmas isfinally getting the Select action figure treatment! The Select line is knownfor its detailed sculpts, larger scale and its diorama bases, and NBX promisesto put all of those features to the test! 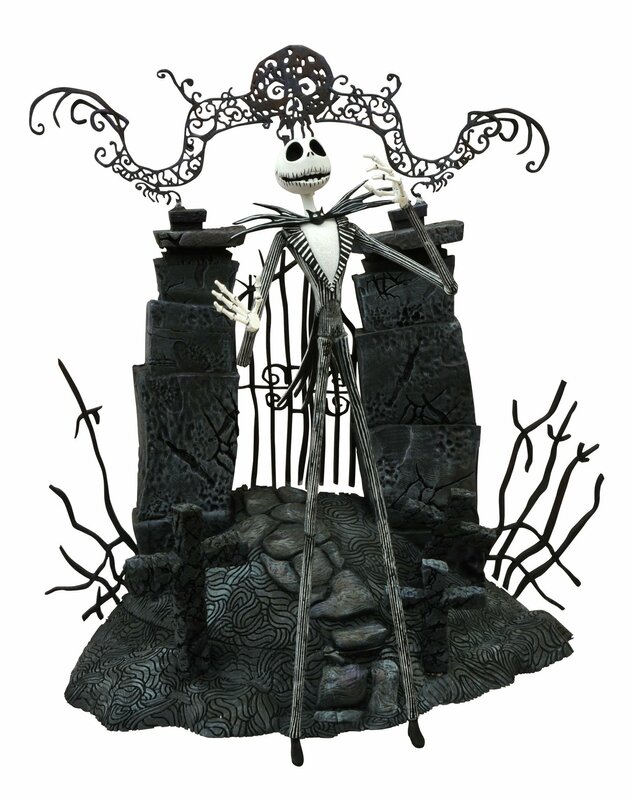 Jack Skellington, Sally and OogieBoogie will make up the first series of figures, each sculpted to a 7-inchscale with character-appropriate articulation. Jack Skellington will come witha cemetery environment, Sally with a Halloweentown environment and alternatekneeling legs, and Oogie will come with a stone floor base and a removableface! Each figure will come packaged in the Select-style display packaging,with spine artwork. Sculpted by Dave Cortes!.